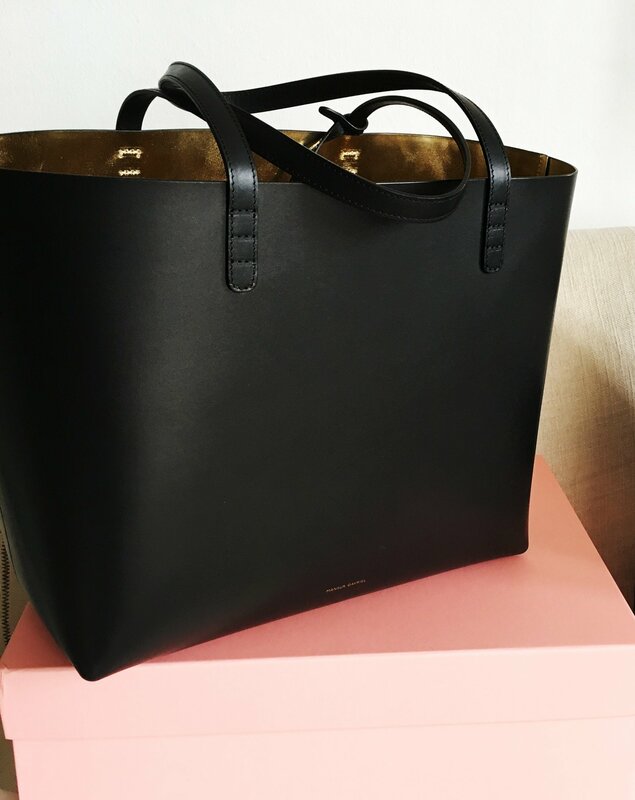 Finally, My Own Mansur Gavriel Tote! Forgive me for the excitement, but I’ve waited more than a year for this! Confession: I’m a huge tote person. Being a mother has turned me off of clutches and small bags that can’t hold a change of clothes, wipes, my makeup kit, my emergency kit, my wallet, and at least one form of mobile entertainment (you know – toys, activity books, or an iPad), a notebook or sketchpad, and a pencil case (or watecolors) and whatever purchases I make when I go out. So far, my all-time go-to utility bag is the Lonchamp LePliage, because it has a zipper at the top, and it’s really light and can be folded and stashed away easily. I have a few of these in different colors, and I use it every time I go grocery shopping or run errands. However, there are days when you want something much fancier but will still hold your entire life. 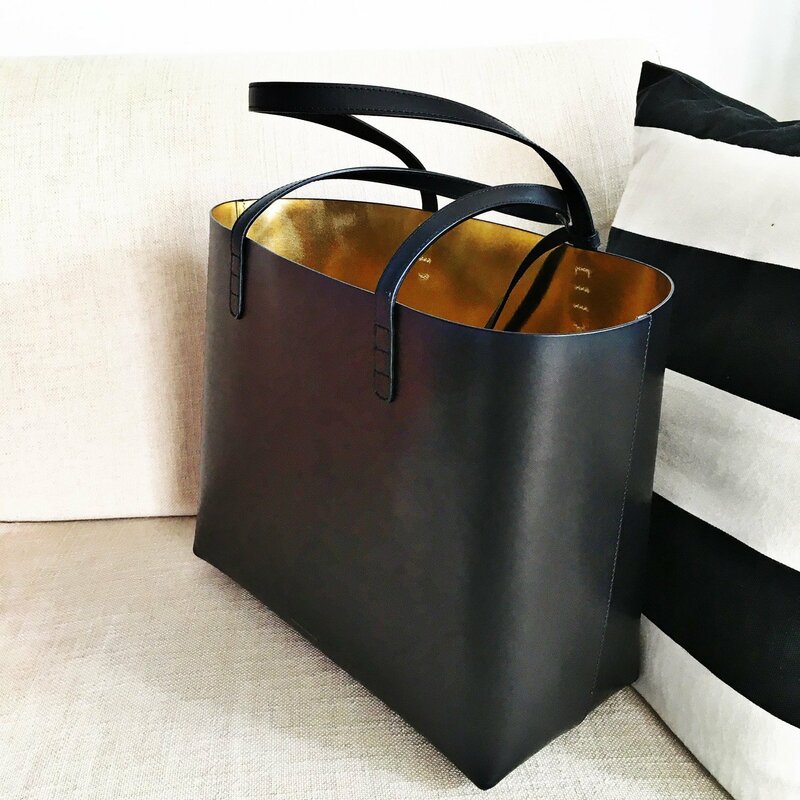 Enter the Mansur Gavriel tote. I’ve been seeing this on social media for the past year or so but it was always out of stock. When they finally announced the launch of their new collection, I was eagerly refreshing my browser every few seconds to make sure I was there the moment it was available. 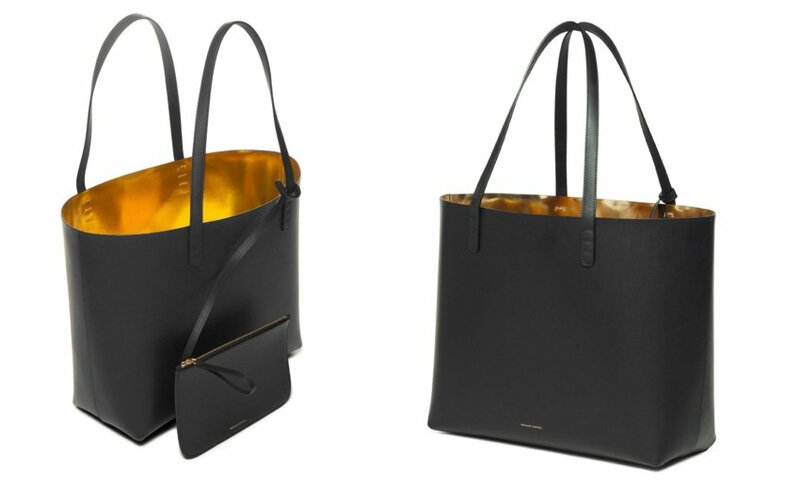 I was torn between the black/oro one and the peony tote. Both are equally gorgeous!!! But I already have a pink leather tote and that gold lining was really calling my name, so I picked that one. LOVE LOVE LOVE the packaging! It arrived a few days later in this pretty pink box. Opening it was akin to opening an Apple product. I almost wanted to document every step. hahahah! It’s so roomy! And so light! It doesn’t have any pockets, but it has this detachable wallet and so that’s where I keep my iPhone. It has this amazing structure that doesn’t slouch, so it feels really strong and roomy. You can put so many things inside it. The workmanship is superb and that new leather smell is just wonderful! Another major point for me is the discreet logo at the bottom. It doesn’t scream or shout, and you don’t feel like a walking advertisement when you carry it. Here’s what I would pair it with: a shirtdress, a maxi dress, or a white shirt and jeans combo. Yes, my wardrobe choices are boring and very suburban mom because that’s what I am. The bag has a really classic look and it would look perfect with a pair of south sea pearls on your ears, and ballet flats on your feet. Minivan optional. 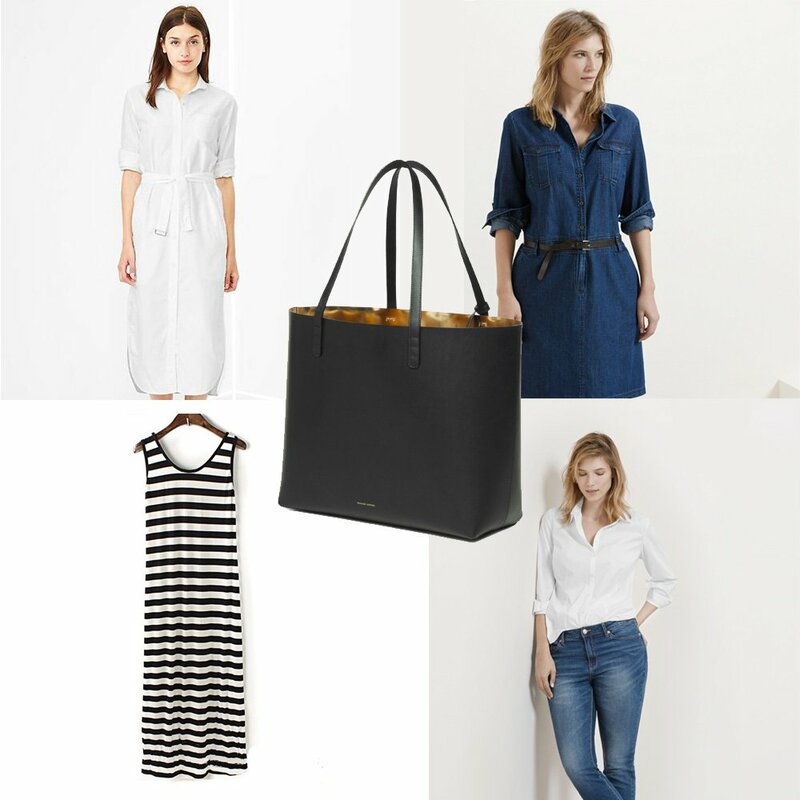 Gap midi shirtdress, Violeta by Mango Denim Shirtdress, Susan slim-fit jeans & white shirt by Violeta, Black and White Striped Maxi dress by Cichic.